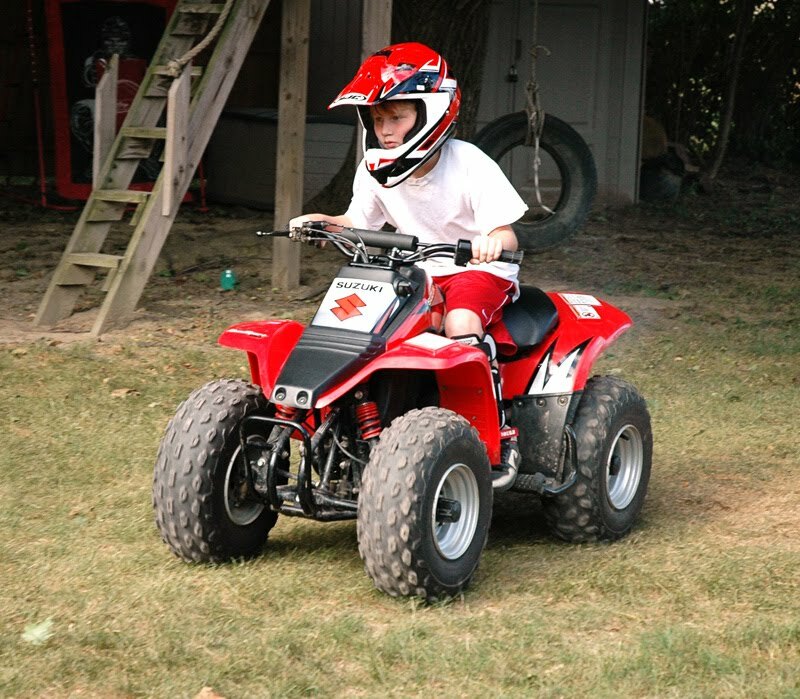 We bought a 2005 Suzuki LT80 quad for Ian the other day. 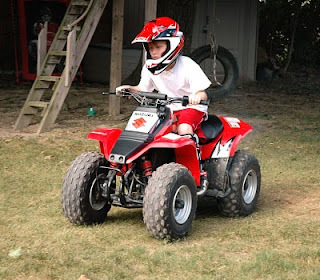 (We are picking up Jake's 2009 Polaris 90 next week.) I was against the idea, but the guys managed to get me to acquiesce. 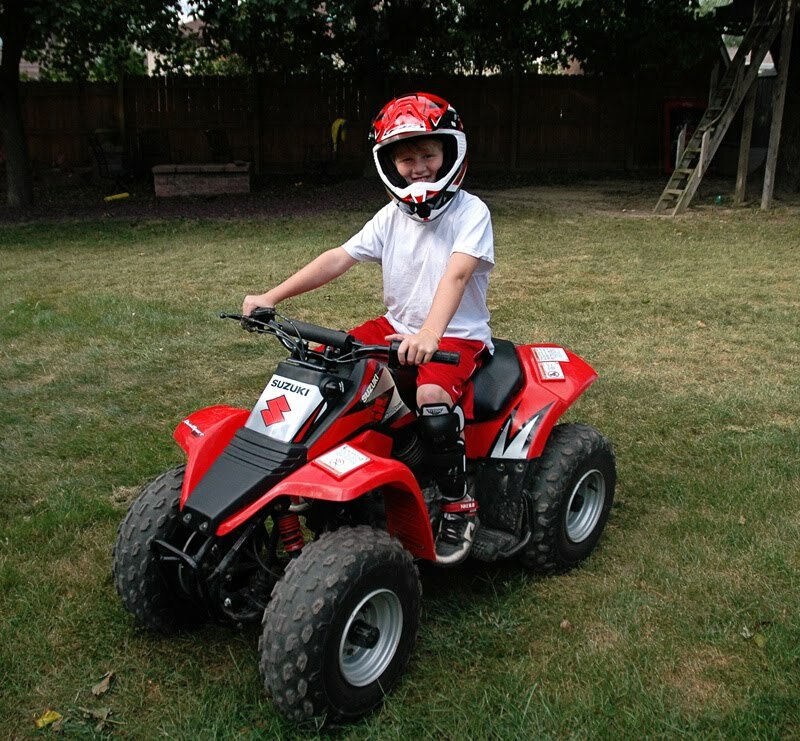 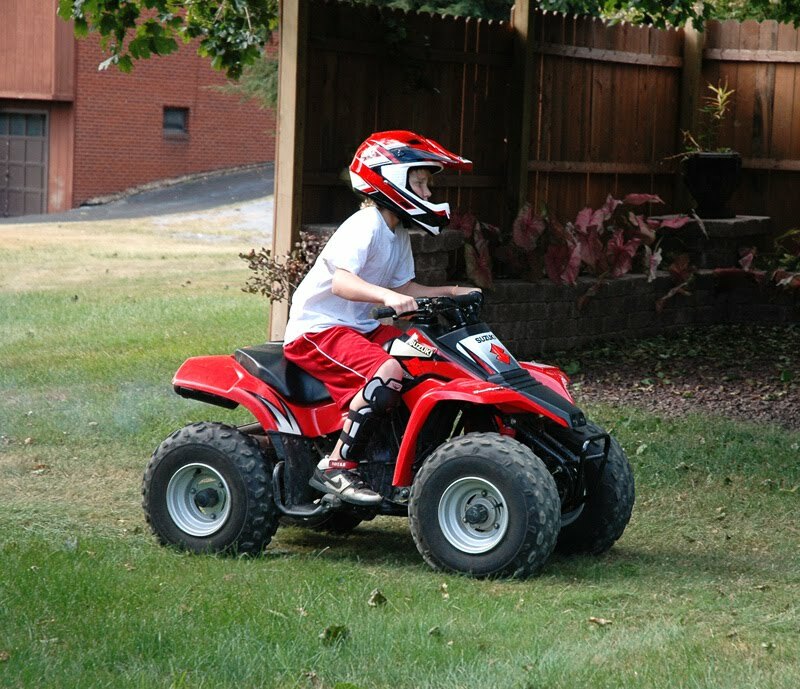 Here is Ian rding the quad in our backyard. 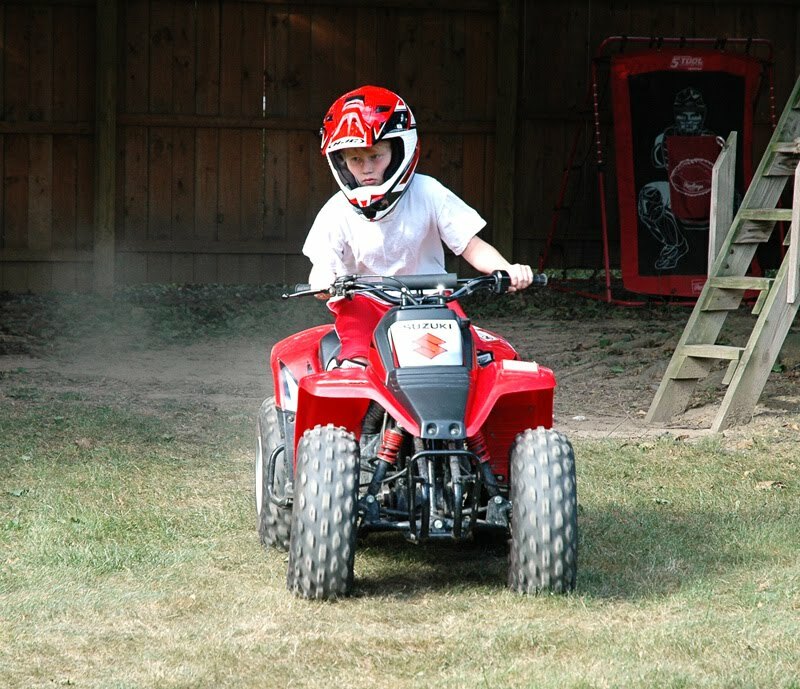 That looks like so much fun! My son will enjoy one of those when he gets old enough to ride!